Yes, Christmas is about relaxing, spending time with friends and family, eating some great food and watching festive films in your pyjamas. It’s a special holiday that we celebrate with beautiful decorations and magical traditions. However, it’s also about giving back; at Westbury we will be having a few different charity fundraisers throughout the month, including a local food bank donation and raising money on Christmas Jumper Day for Save the Children. And of course, there’s the giving of gifts. While there’s certainly a commercial aspect to this part of Christmas, we think it’s still important to show your loved ones how much they matter to you by taking the time to find them a gift that will make them know how special they are. 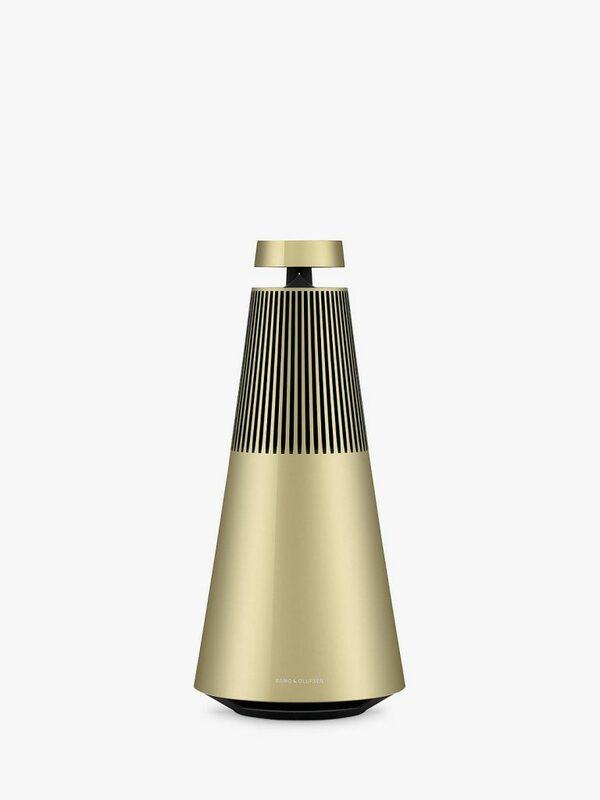 I love listening to music around the house and so at the top of my gift list would be a Bang and Olufsen Beosound 2 smart speaker. My preference would be the brass colourway – sleek and beautifully designed that would slot right into my living room interiors. What’s the worst present you ever received? My husband once bought me a pair of multicoloured hand knitted chunky socks. I’m not sure what his thought process was but they were awful and were swiftly sent to the charity shop. Woody thinks that one of the best gifts you can give for car enthusiasts (or adrenaline junkies) is a driving experience day with Lotus. You get to drive around the famous Lotus test track, first with the Elise, and then step things up with the new Lotus Exige Sport 350. 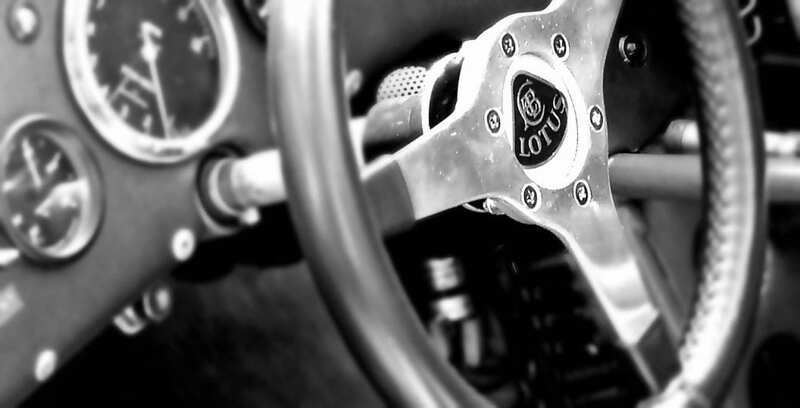 A professional Lotus driving instructor will be with you throughout the experience. Finish off your day with a tour of the Lotus production facility, including a ‘behind-the-scenes’ look at the factory line. 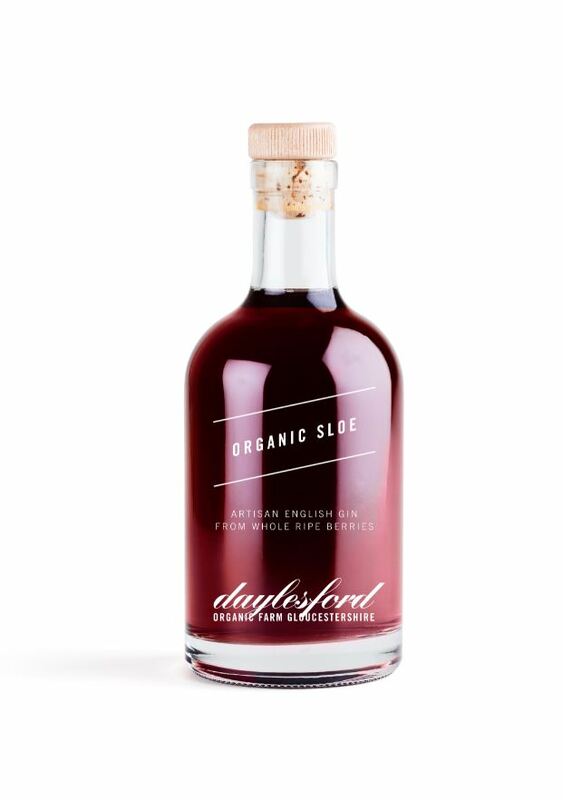 You can’t go wrong with home-made sloe gin. In mid-October, I pick lots of sloe berries from our very own Saltcoates Park, which is just across the road. They’re great quality, and perfect for my sister’s Christmas present. I followed the recipe on the BBC Good Food but there are some great ideas for using up the leftover sloe berries with this recipe from The Spruce Eats. While it’s a bit late to make your own now, save the recipe for next year and have a look Daylesford’s gin range – they’re irresistible! What’s the worst present you ever received? A set of very cheap wine glasses from my sister-in-law. She knows I like my wine – but needless to say they went to the charity shop for someone else to enjoy! 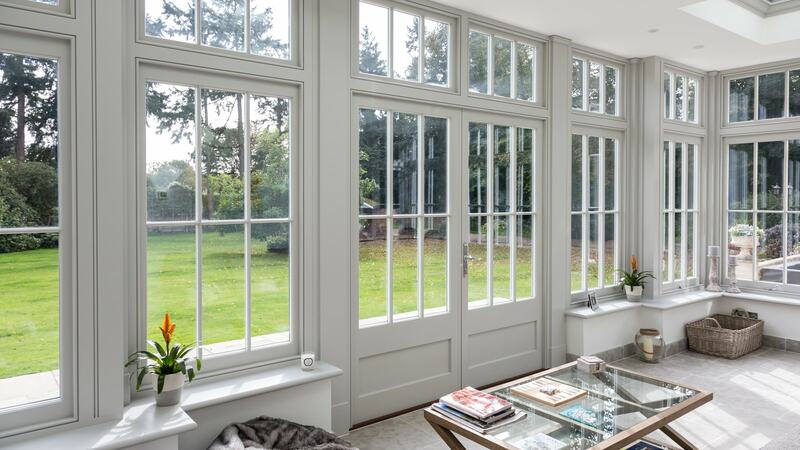 Morris has suggested that the ideal gift would be a two-seater garden bench, placed in a secluded part of the garden away from the other patio furniture, with views looking over the garden towards the house and orangery. It will provide the ultimate spot to lie under for a bit of shelter for summer snoozes, or maybe with a nice doggy biscuit (or two), while the humans sit and enjoy a coffee. What’s your most awkward gift moment? Morris’ owner, Westbury’s Senior Designer Mark Jones, witnessed one of the most embarrassing gift exchanges we’ve ever heard of. ‘One year, my Dad presented a gift that he had recycled from the previous year. He had wrapped the item for its new recipient, having never actually opened its box, wherein lay a personalised message addressed to him from the original giver. My dad was quite a raconteur, and skilfully rescued himself by saying “Oh there it is – I have been looking for that note since last Christmas”. 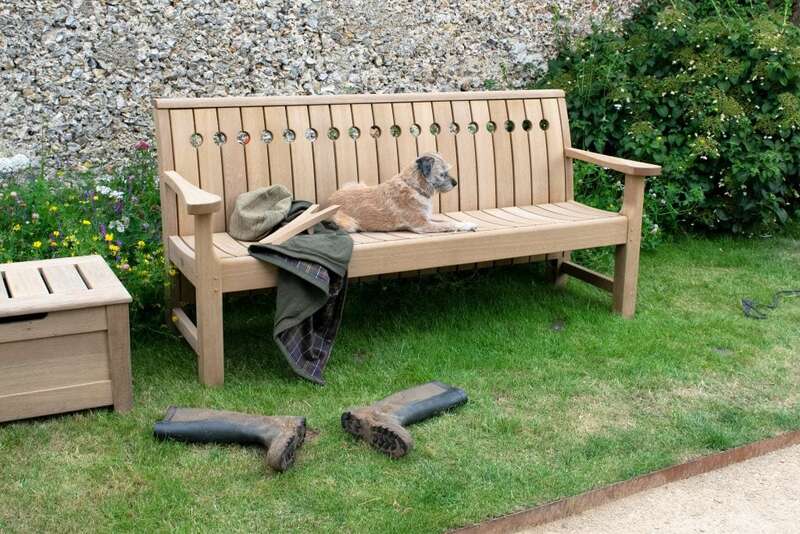 Broadwalk two-seater bench by Gaze Burville, price on application. The best gifts are unique ones – you can’t go wrong with jewellery from an independent maker. You know that no one else will have anything like it. 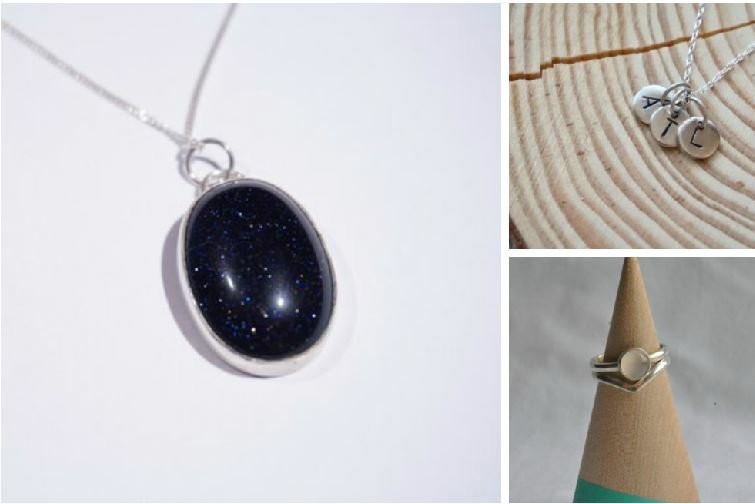 My friend Amy Louise designs wonderful pieces, from silver rings to gemstone pendants – I love this handmade Blue Goldstone Oval pendant, it has a lovely subtle sparkle to it, making it the perfect stocking filler. What’s the most embarrassing present you ever received? A couple of years ago my grandma decided it was a fabulous idea to buy me glittery lilac tights – I was 21 at the time. I thanked her and complemented her taste to be polite, but apparently that was not enough. She proceeded to demand that I do a catwalk for her to show off my new gift, in front of the whole family with all my cousins and aunties present. Afterwards she said ‘see, I remembered you liked Tinkerbell!’. 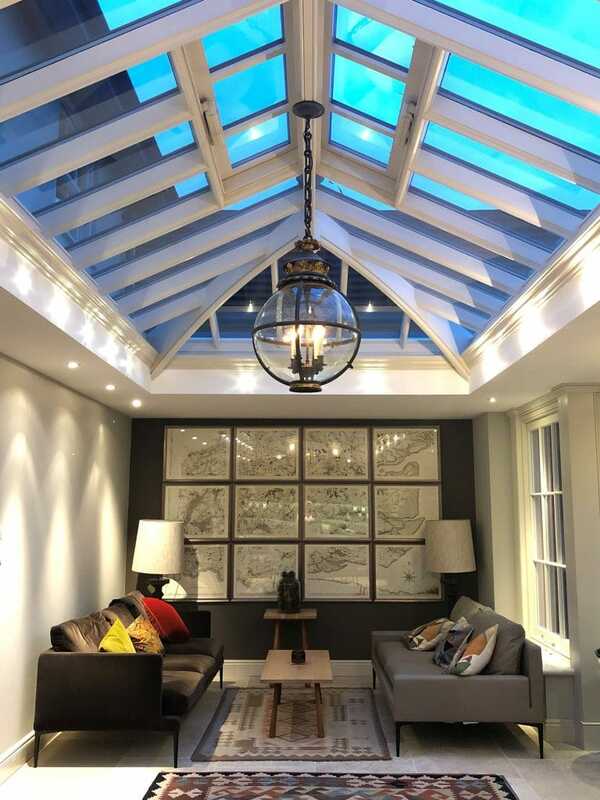 I would love Father Christmas to bring me a Jamb pendant light this year – we have one in our Orangery here in the Essex showroom, and every morning when I come to work I see it and think how glorious it looks. Jamb lights are known for their quality and craftsmanship, and I think they will make the perfect gift to someone special. What’s the worst present you ever received? I was given a red polka-dot stiletto shoe wine bottle holder. The idea is that it can be placed in the middle of your dinner table with your chosen bottle of wine resting inside. Being a superstitious person, it was far from an ideal gift – surely everyone knows that you don’t put shoes on the table! Every year I ask my Dad what he wants for Christmas, and he just shrugs. ‘Get me some socks or something’ is the normal response. 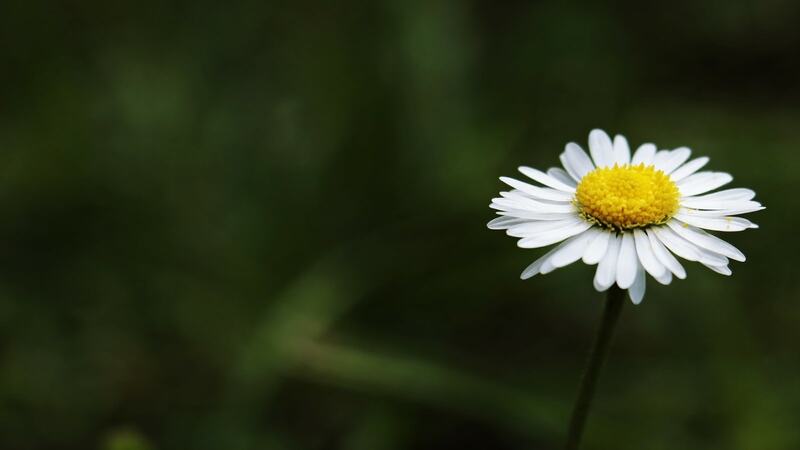 I’ve recently discovered Tata Harper natural skincare, an ethical health and beauty brand. 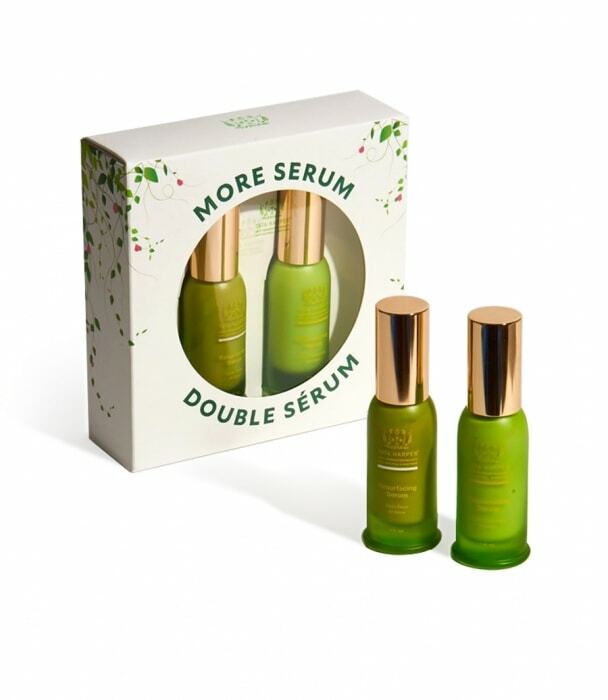 They use natural ingredients in their products, which are free from toxins, fillers and artificial chemicals. Their Rejuvenating & Resurfacing Serum Power Duo is the perfect starter gift – men have skin too, so it’s time Dad ditched the socks and tried a bit of pampering. What’s the most awkward gift you ever gave? My best friend is a writer and last Christmas I decided to get her something special to write with. I knew she loved Swarovski jewellery, so I got her a limited-edition Swarovski ballpoint pen for her to use, which came in a lovely gift box. When she called to say thank you for her gift, I told her that as I was wrapping it, my boyfriend had laughed at me and pointed out she would probably assume I’d brought her jewellery, and then be disappointed to see a pen inside the box. ‘That’s exactly what happened’ she said. Oops. I would head to my friend’s online shop – Scarlet Page is an incredibly talented lady with an impressive portfolio of portrait photography. 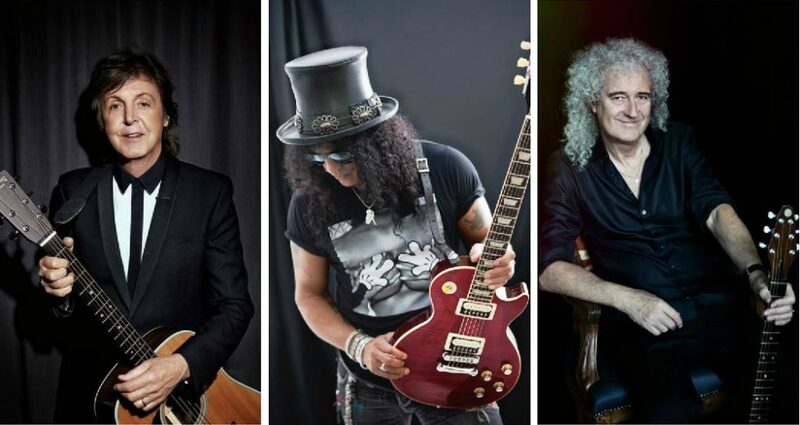 She’s worked with some of the world’s biggest acts, and her book Resonators is a brilliant gift for anyone who is into their rock music. Limited edition prints are also available, and all profits are given to the Teenage Cancer Trust. What’s the worst present you ever received? I’ve never had a nightmare gift, but one year my Step Dad brought my Mum a set of bathroom scales for Christmas which was hilarious. Her old ones had stopped working so he thought it was a practical gift, but she certainly didn’t agree with him. 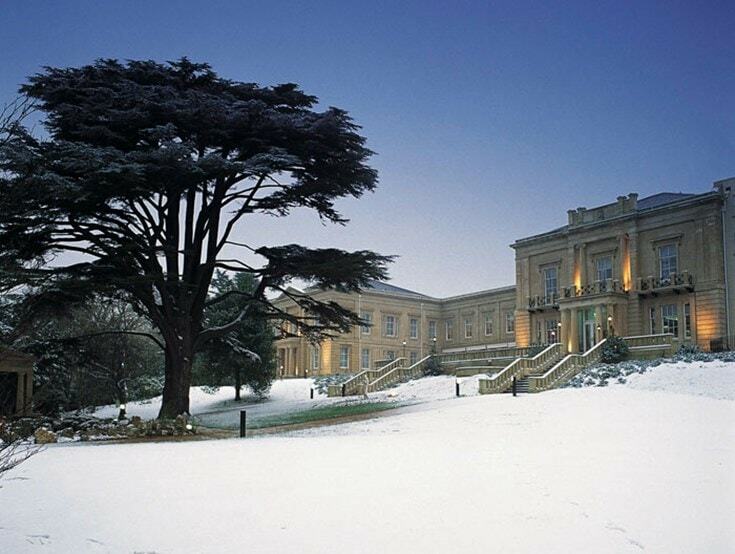 My girlfriend is getting treated this year – I’ve booked a weekend break in a luxury suite at Macdonald Bath Spa Hotel. The service there is outstanding, with spa facilities and an exceptional award-winning restaurant. 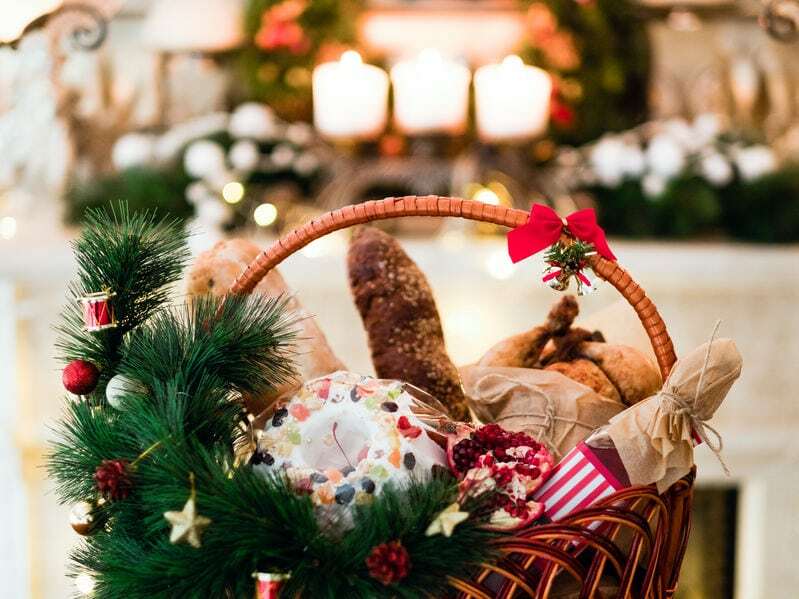 The hotel has beautiful landscaped gardens and it’s just a short walk into Bath city centre, which is really festive at this time of year with lots of Christmas markets. What’s the worst present you ever received? My sister bought me a pack of bourbon biscuits once – they were my favourite biscuits though! Our baby is due on the 23rd of December, so I had to get all my Christmas shopping finished months ago. We already have two sons, so I’m thinking we’ve got a girl this time around – but my wife is convinced it’s another boy. 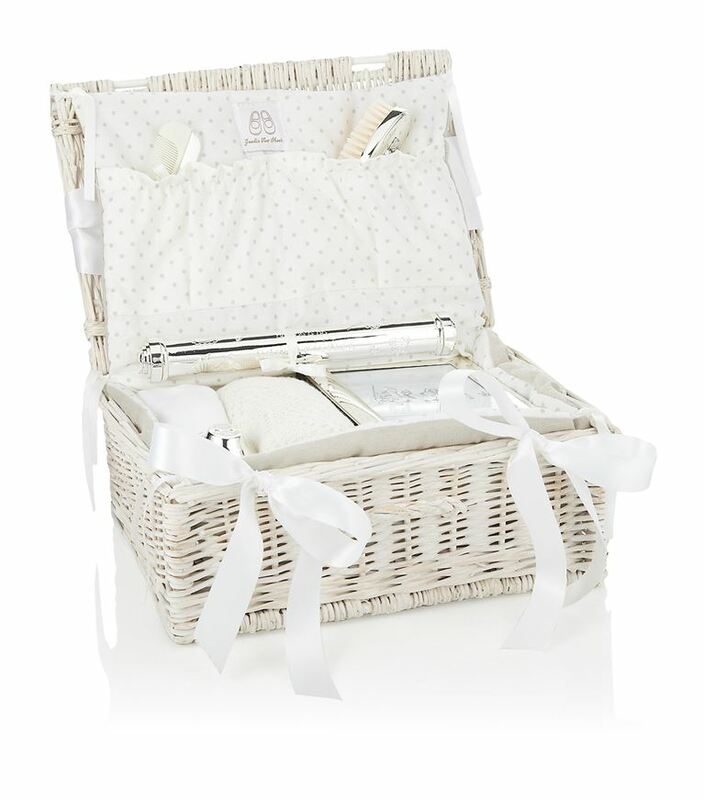 My wife is usually right but as we can’t be sure, this unisex baby hamper is ideal. It has useful things that we’ll need like a cotton bodysuit and a knitted shawl, but it also has some special keepsake items like the silver photo album. What’s the worst present you ever received? My wife’s grandmother usually comes up trumps at Christmas. Last year, she wrapped everything in the same wrapping paper and got the gifts labels mixed up. I received a makeup gift set while my wife unwrapped a shaving kit. 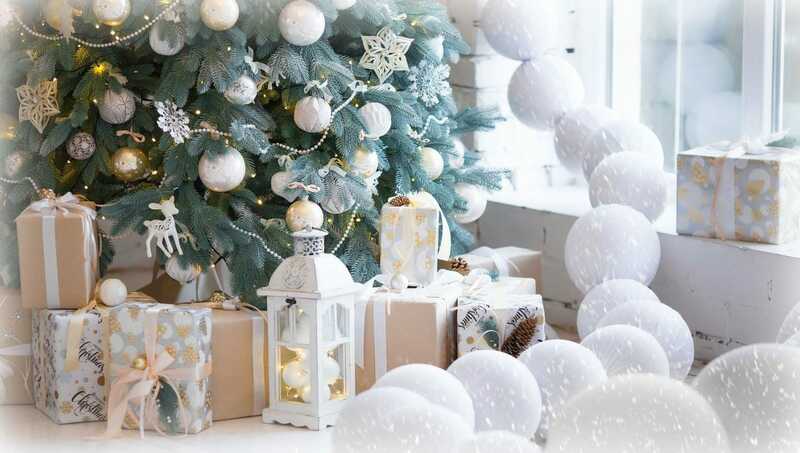 I know that I’m very difficult to buy gifts for, last year my sister told me that she finds it impossible at Christmas, as she can never think of anything I might want. I told her that I didn’t want a lot for Christmas, I just wanted something thoughtful. On Christmas eve, she came round with a hamper filled with home-make cooking, all favourites from our childhood that I could never recreate myself, including some amazing pies our Mum used to make for us. It was a wonderful, priceless gift that meant so much. Sometimes it’s the thoughtful and meaningful gestures that can be the most memorable. 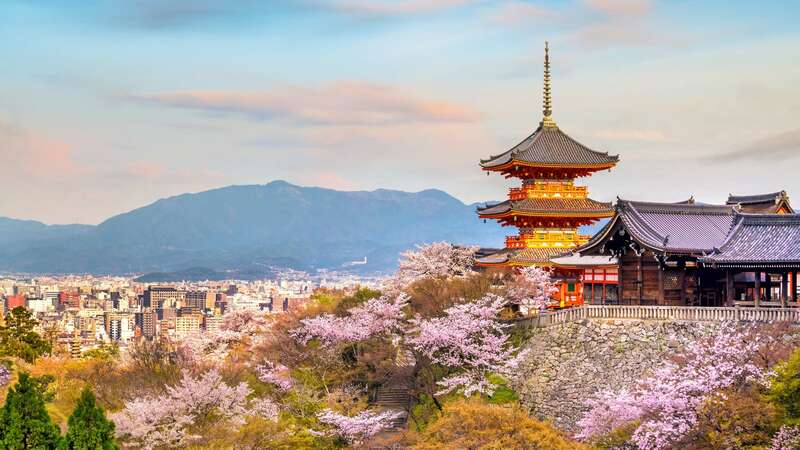 June 5th is World Environment Day –so we’ve pulled together our top tips from some of the eco-friendly builds that we have seen and worked on.